We think the beaches in southern Adelaide are some of the most beautiful around and they're an awesome place to escape the heat. Unfortunately, as our temperatures continue to rise, climate change is posing a number of serious coastal risks. Rising sea levels combined with more extreme storm surge and rainfall are accelerating erosion and increasing the risk of inundation in low-lying areas. This affects not only the beach environment but also coastal buildings and infrastructure and the plants and animals who call the coast home. The increasing acidity of the ocean waters is also changing the physiology of our marine organisms. Resilient South councils have been working for many years to understand, monitor and manage coastal climate risks. In 2015, City of Onkaparinga generated a high-resolution 3D computer model of our coastline, followed by City of Marion in 2018. The model enables us to monitor coastal erosion and sea level rise over time. It's also a fantastic tool for communicating the impacts of coastal erosion. Check out the fly through animation that was generated using the model. We've partnered with the Fleurieu Film Festival around their 2019 theme: Climate Change - Hot Topic / Kool Films and are happy to share this model with film makers and animators who'd like to try their hand at generating a film with the model. 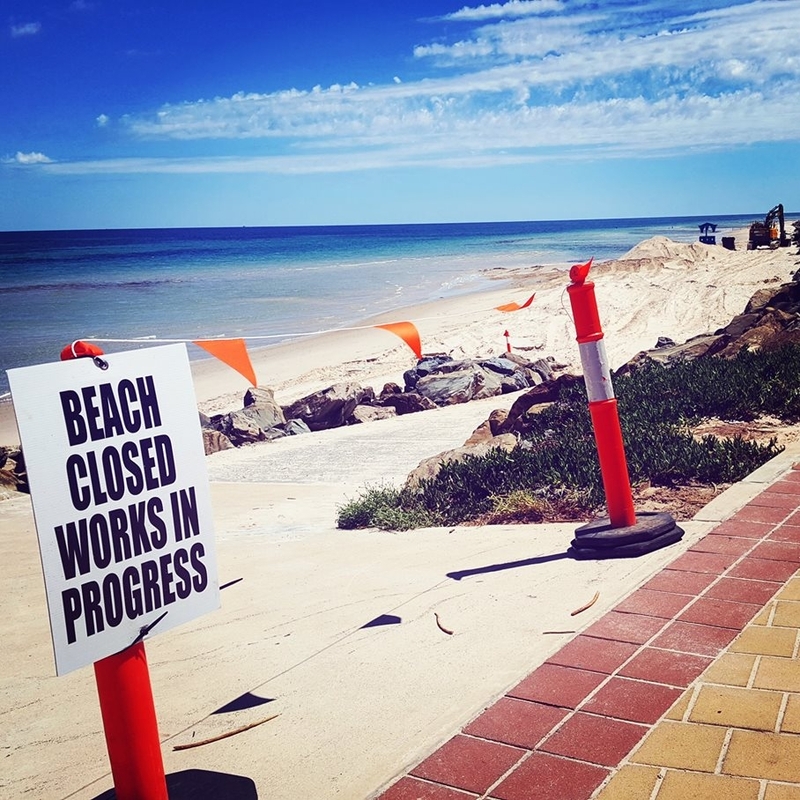 With the help of the State Government Coast Protection Board, two sand groynes were installed north of the Brighton Jetty in February 2017. These sand groynes have already proven successful in keeping our beaches sandy to help with storm protection. The City of Holdfast Bay hopes to install additional groynes in the near future. The City of Holdfast Bay have two significant dune areas beside our beaches: the Brighton to Seacliff dunes, and the Minda dunes at Somerton Park. These dune systems are an important asset to the area providing protection from tide effects, and a habitat for birds, reptiles and insects. Before extensive coastal development in the 19th and 20th centuries, the dunes were an important source of food and shelter for the indigenous Kaurna Aborigines. Our environmental volunteers spend over 1,000 hours each year working in our natural areas and native gardens. Their tasks include weeding, planting, watering seedlings and ongoing monitoring. This work helps to rehabilitate our natural areas and protect valuable habitat for our native animals. Since the late 1990s, Council has conducted revegetation and restoration projects with the help of local residents, primary schools, and volunteer conservation groups.